Details of all the systems I put together and the things I liked and dis-liked. 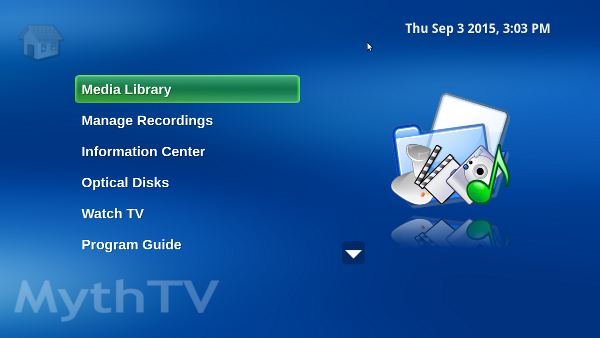 It can also automatically see and play the uPNP MythTV server video and audio files. I do, however, prefer the MythTV music interface for selecting my playlisted tunes. Audyssey DSX - wow! converts stereo or 5.1 into 11.2, and does a really good job of it. Audyssey MultEQ XT32 actually listened to my room and took into account all the reverb and speaker placement to optimize the surround sound in my family room. The HQV-Reon VX video upscaling does a really good job of converting all video input to 1080p. Before I got this receiver, I was worried about what the low resolution channels and inputs would look like on my 58" Viera, but they look good. Not as good as 1080p but good enough that I don't get "bothered" by it (which means alot because I am kinda picky). I added 2 ultra quiet 12cm computer fans that sit on the top and constantly draw a low volume of air through to make sure it stays nice and cool! 8 bucks each and will extend the life of the AVR. It easily drove my PSB Imagine towers and center to reference (0dB) and beyond with perfect clarity. Not a hint of distortion. Not much I can say that is not great about this receiver, other than it has a small HDMI handshake issue between it and the Panasonic Viera Plasma that causes a screen full of static snow for a second between switching inputs/resolutions. I have been using a home built Linux based MythTV DVR for 5 years and can't live without it. I built a new Intel i5 based box with an ASUS MB as its new home. provides a uPNP server onto my network to share the video and audio files. I am using a Hauppauge HD-PVR to capture the 720 input from a Starchoice/ShawDirect HD converter box. So far so good. I had a couple glitches when I 1st set it up, but I connected it to a windows box and updated firmware and things have been good since. I am using a home built Iguana serial IR receiver & blaster. I got the HD-PVR IR receiver & blaster working with lirc, but it was not a smooth and stable, so I went back to a serial based IR what work flawlessly. to get it all working with my lirc.conf that has all my remote codes. I have 10 over the air digital (OTA) channels that I can pick up in North Vancouver! It was the top of line Model 58VT25 from Jacks TV & Stereo in Delta BC. All I can say is WOW! The 3D even looks Cool! It is going up onto the wall, soon. You can't find a better speaker and they are designed, tested, in Canada but built in CANADA China. They are a bit hard to find but well worth the effort. I got them all from from Jacks TV & Stereo in Delta BC. I worked with Dan who was friendly, helpful and very knowledgeable. I went with Imagine series tower and center channel speaker and a SubSeries 1 subwoofer. My surrounds are in-wall CW262 with backer boxes built into the walls using 3/4 " MDF mounted with rubber sound isolation clips. All I can say is WOW! My music sounds Awesome. Especially at reference volume (0dB). 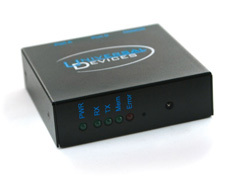 Firewall and VPN services provided by a Linksys WRT54gl running Tomato Firmware. 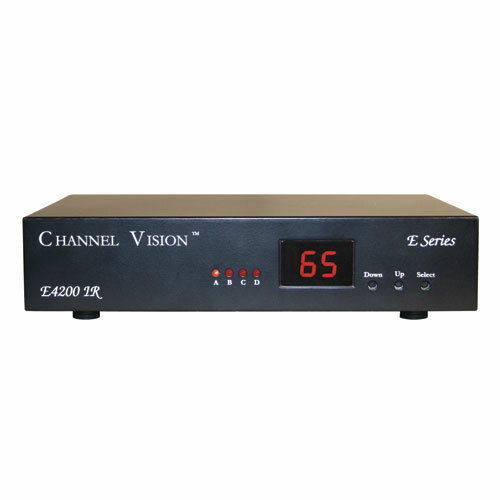 This is a very configurable system with 2-way voice monitoring, programmable and remote control via dial in or over the Internet. (supplier: http://www.aartech.ca ) It also provides very good interface to my Insteon based home control devices. I am not going to go into too many details other than the fact that if you are around my house, my system will know and is probably recording you. wiring problems - expect a few. I had some problems with my connections to the Data Bus Hub. My RJ-45 plugs were not terminated with the best care and resulted in the elk not finding the zone interface cards and one of my keypads.. I re-terminated the cables carefully and it fixed things up. 4-wire smoke detector and CO detector wiring diagrams with EOL relays. Its pretty straight forward once you look at the diagram and realize 2 things - the smoke is a normally open contact (that closes when in alarm) and the power circuit is supervised by the EOL relay and will open the alarm circuit to signal the ELK that there is a problem. I am using a dedicated Fedora Linux based PC running Zoneminder software (computer supplier: http://www.ncix.com ). It is even watching you at night with night vision. If you get close you are already on record. Most of my lights are now controlled with Insteon. This has allowed me to setup programmable "Scenes" based on time of day, desired mood such as movie watching, or morning wake up. It directly interfaces and shares information/control with my ELK security system and even supervises my thermostat heat and A/C control. I can even control all of it over the web and has a nice and easy to use mobile web page. I can check temperature, turn on the A/C, turn lights on and off remotely! Take a look at my Blog item that describes all of its benefits. with 400AH of batteries and dedicated circuits to key system - drainage, security, & network. (supplier: the local Burnaby office for Battery Direct http://www.batterydirect.ca ). I had a separate sub-panel put in so I could run separate UPS circuits through my house (see the picture to the right). Its a fact of life... the power goes out. Ironically, the morning the electrician was here to cut over the pump circuits to this PowerHub, our feeder had an outage for about 3-4 hours. The scramble was on to find a gas generator. Yuck, why would I want the noise and hassle of having to manage and maintain something like that. Plus it only works if I am here. This PowerHub just works, so I get to "sleep at night" not worrying about a flooded basement PLUS I get phone and Internet even with the power is out!! For the price, this has so much more added value than a gas generator. I strongly suggest looking into it. One of the main drivers for the reno was we wanted a new furnace. At the start, we went back and forth between a boiler with in-floor heat and forced air. Each have their pros/cons. We went with forced air. The system is made by Armstrong Air. After the 1st full month in the house, using the new heat system, I saw a 20% reduction in gas usage from the same month last year - this was to heat TWICE the house space! So even though we doubled the space, our gas usage went down be about 20%. Instant hot water heater by Rinnai - 9.8 l/min. We also installed a re-circulating pump to make sure there is hot water in the bathroom (30ft away) quickly. It is performing great. No issues. I got my cable, connectors and tools from either RP Electronics or aartech. Specific mention to the EZ-RJ 45 tool to crimp all CAT6 and CAT5 cable connectors. I used Keystone jacks and keystone Decora outlet covers. I used 4 Leviton structured media center (SMC) 42" cabinets plus I used the smaller 14" Elk cabinet to hold all the power and battery equipment. It took about 8-10 full days of work to pull over 100 runs of cable throughout the house. Then there was the terminations and cross-connections. All wiring was home-run to the media closet. I am finding that the coax I ran is being used the most so far because I can redirect the video signals wherever I want, and I can use the coax for composite signals as well because they provide a very good signal transfer for the low voltage composite signals. I have a whole page about all the wiring I did. I have a Logitech Harmony 700 and I am planning on purchasing either Android ElkDroid app or the iPod eKeypad PRO for Insteon/Elk control, depending on the handheld device I will be using. I also created a listing of everything on the Equipment Page.